Johannesburg Popular Used 450g White Fluted Candle is a big candle. Its package is 6pcs/pack 75g/pcs . The customer`s logo can be printed on the packing. 450g white Fluted Candle is mainly exported to Johannesburg. It is welcomed by customers. As one factory,we can assure the quality and fast shipment. more details, contact me. Delivery of fluted candle: within 30 days after deposit received. 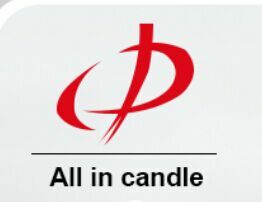 Aoyin Xingtang Candle Company has exported candles more than 4 years,with professional prodcution technology and package workers,mainly produce and export White Candle,Color Candle,Flute Candle,Tealight Candle,Glass Jar Candle,Pillar Candle,Jelly Candle, LED Candle ,and so on. Welcome old and new customers to inquiry and visit our factory. Looking for ideal Big White Fluted Candle Manufacturer & supplier ? We have a wide selection at great prices to help you get creative. All the 450g Weight Candle to Johannesburg are quality guaranteed. We are China Origin Factory of Tapered Wax Candle to Johannesburg. If you have any question, please feel free to contact us.